Former Teen Mom OG star Farrah Abraham took to Youtube on Tuesday to share a live vlog in which she revealed details about her “crazy day” while walking on a bridge in Austin, Texas. In the video, Farrah says that she and her ten-year-old daughter Sophia are currently involved in some sort of television project, and in the course of production, Sophia hurt her by forgetting some of Farrah’s accomplishments. 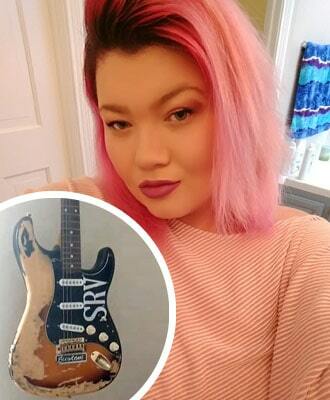 Sophia now has this great opportunity. I love her so much. I’m supporting her in it, and when she was not understanding, and not paying tribute, or being grateful — I think I have a big thing about gratitude right now in my life. You probably should be grateful for every little experience, grateful for your heritage, grateful for your background, grateful for your grandma, grateful for your mom. And we all know I haven’t gotten along…with my family for some time, but now everything’s kind of resonated and it’s beautiful. It’s really great, and I just don’t want Sophia being entitled, thinking like she should just have stuff given…I think that’s where I’m coming from. I was really hurt. I was really hurt today, but through my breakdown — you know I have some epic breakdowns — but I guess it’s, like, self development and growth in my own right, right? Towards the end of the video, Farrah got sidetracked a bit by a man walking his dog the other way on the bridge. “Watch, this guy’s gonna check me out,” Farrah says as she turns the camera on the man, who somehow manages to avoid turning his head to check out Farrah. 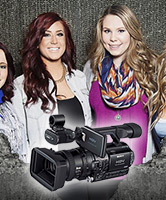 Will Teen Mom 2 be like Teen Mom OG by breaking the fourth wall? 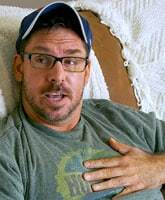 Matt Baier’s ex-wife speaks out, to appear on Dr. Phil?